Eleven years ago I dug up a less than knee-high tuliptree (Liriodendron tulipifera) sapling from my friend’s yard in southern Connecticut and planted it in my parents’ front yard in Pelham, Massachusetts. I live near this tree’s northern range limit, and I was unfamiliar with it before that summer, which I spent doing plant surveys all over Connecticut. Eight years later I was learning about leaf mines for Tracks & Sign of Insects, and when I discovered there was a species of moth, Phyllocnistis liriodendronella, that mines in the leaves of this tree, I checked the leaves of my tree and found the mines right away. I was impressed that the tiny moths had found this tree: as far as I know, the closest tuliptree is a street tree in downtown Amherst, over three miles away, and the closest place I have seen it growing in the woods is in Florence, about fourteen miles away. My tree is now about twenty feet tall, and I have seen the mines on its leaves every year since then. On June 17 of this year I decided to collect two mined leaves. 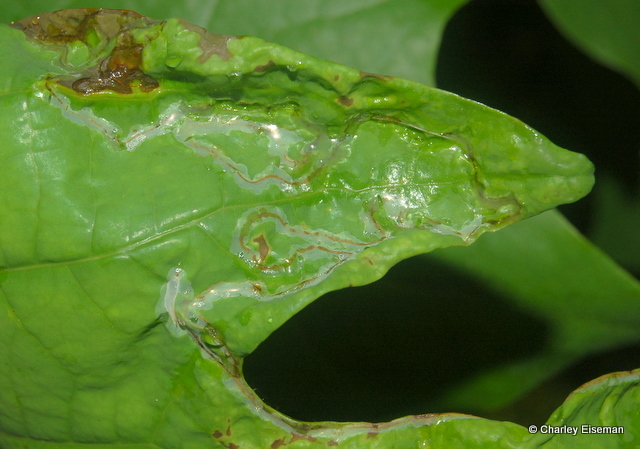 The mines are long and linear as in all Phyllocnistis mines, but are unusual in that they are sometimes on the underside as well as on the upper leaf surface. Some of this year’s mines were formed so early in the leaves’ development that the leaf edges are crinkled and distorted with some dead tissue. Mine of Phyllocnistis liriodendronella in a tuliptree leaf. On June 30, the same day that the sycamore moth emerged, I found a tiny parasitoid wasp in the bag with the tuliptree leaves. I put the bag in the fridge overnight, and when I took it out in the morning to photograph the wasp I discovered that there were in fact three of them, as well as one moth. 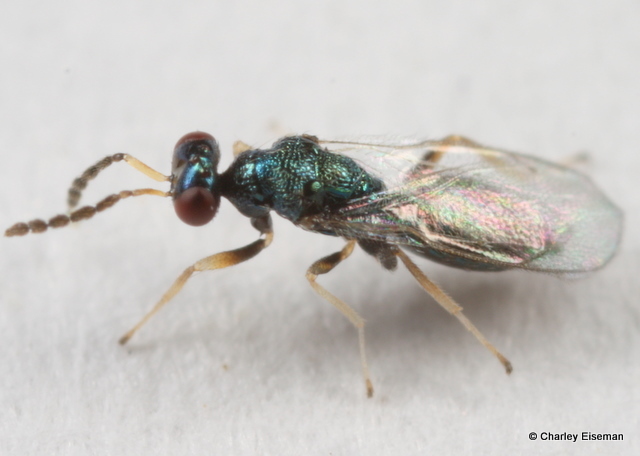 One of two female eulophids that emerged from the Phyllocnistis liriodendronella mines. The male, with fancy antlerlike antennae. 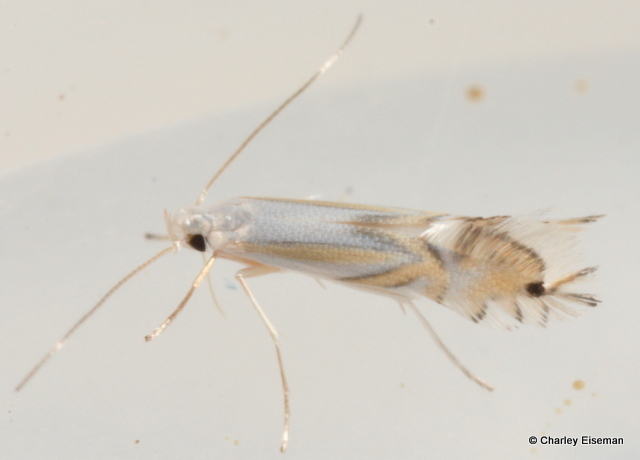 Adult Phyllocnistis liriodendronella (3 mm). 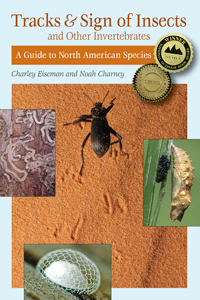 I see significant differences between the moth pictured above and the P. vitifoliella pictured at microleps.org, but I don’t know how consistent these might be. This statement makes me wonder how I would tell whether the mines in my mother’s nearby magnolia bush are made by this species or P. magnoliella, since based on the Global Taxonomic Database of Gracillariidae both of these species can mine in magnolia–although all but one of the references for this were written before P. magnoliella was described, so I suppose these are suspect. Anyway, speaking of P. vitifoliella, a few weeks ago I collected some grape leaves containing mines of this species, and today I got photos of two eulophids that emerged. 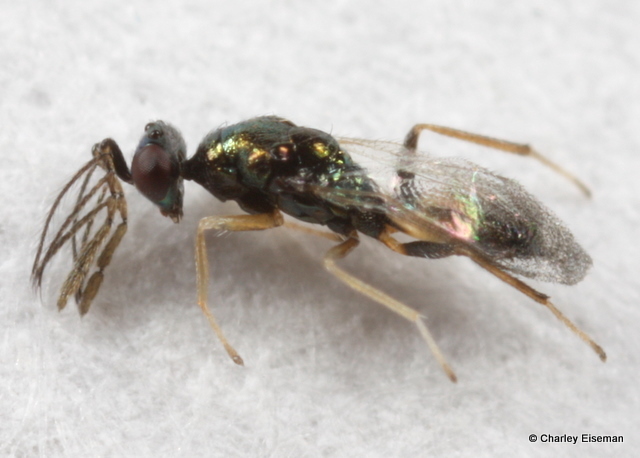 P. vitifoliella, like P. liriodendronella, appears to have no previously documented parasitoids. 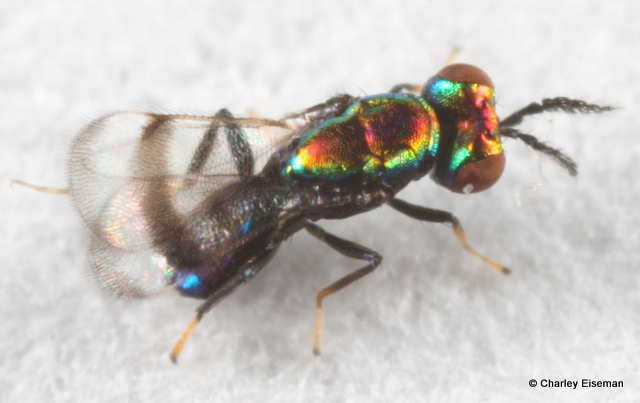 Eulophid parasitoid of Phyllocnistis vitifoliella (1.2 mm). Added 12/11/2012: Eulophid specialist Christer Hansson tells me the P. liriodendronella parasitoids shown here are a male and female Pnigalio, and the P. vitifoliella parasitoid is a Closterocerus. 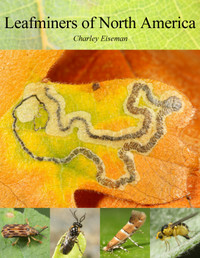 This entry was posted in Uncategorized and tagged chalcid, Closterocerus, Eulophidae, Gracillariidae, leaf mine, Liriodendron tulipifera, moth, parasitoid, Phyllocnistis, Phyllocnistis liriodendronella, Phyllocnistis vitifoliella, Pnigalio, tuliptree, wasp. Bookmark the permalink.